Heyyyy my beautiful friends! How is 2018 treating you? Can’t believe February is over already! There were a lot of sales going on, some still are……and I made a few purchases that I am extremely happy with! 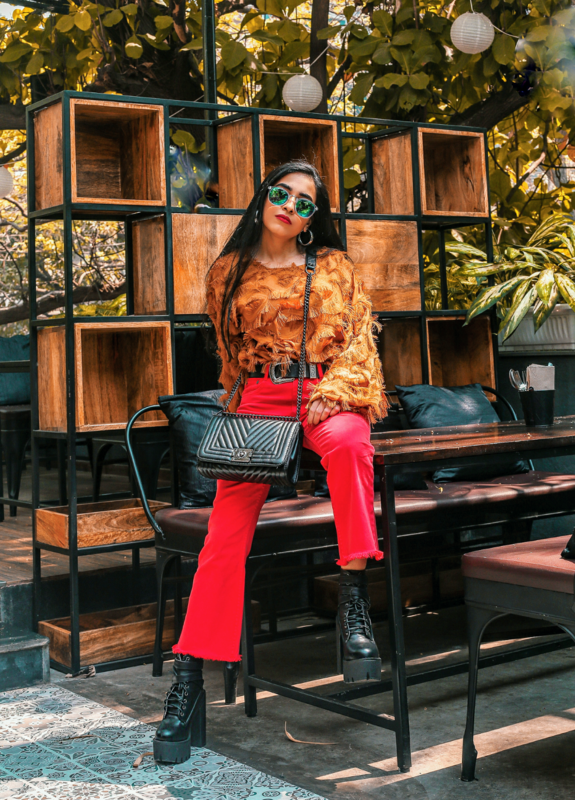 I am sure you are aware of sites like Shein & Romwe – I have done a few posts on them before which you can read here , here , here , here and I had also answered a few questions you had about ordering from these sites here. 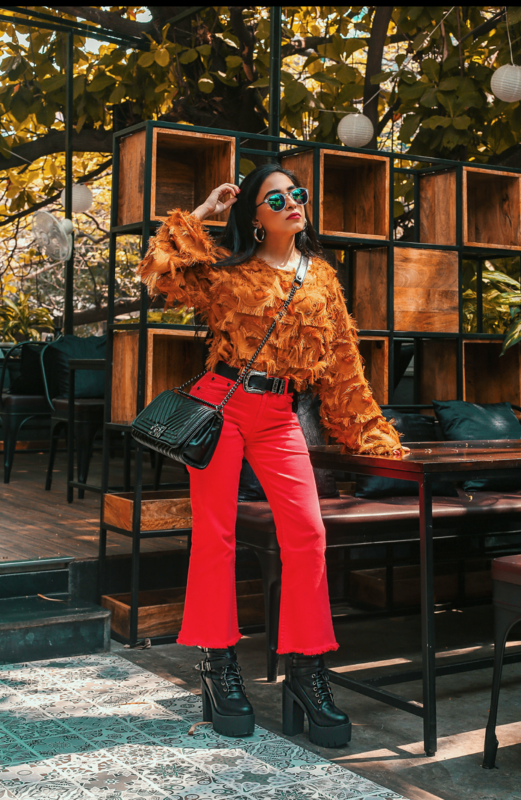 It is not a look that you can wear everyday in all it’s glory, but with a few tweaks and a lot of mix & match – it can be wearable. Let’s start with a top, maybe with feathers if you’re really bold already or we can do this one with a similar result. Try doing two- three bold colours together, not more and balance it out with accessories that are a neutral, black or white. 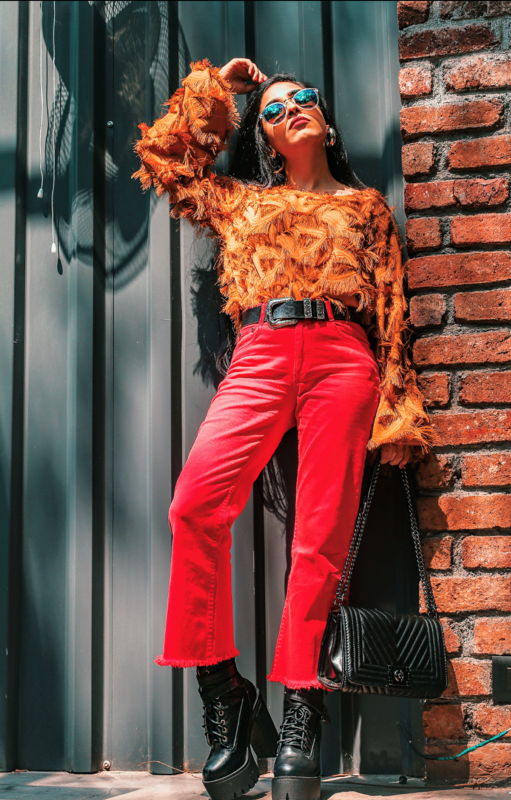 I wore this fringed top, (that I got for under 1k )that is the right amount of extra I want, with these watermelon coloured flared jeans from Koovs ( I love the colour, the fit and the raw hem) I personally have hardly seen these colours together so I wanted to try it out for sure! 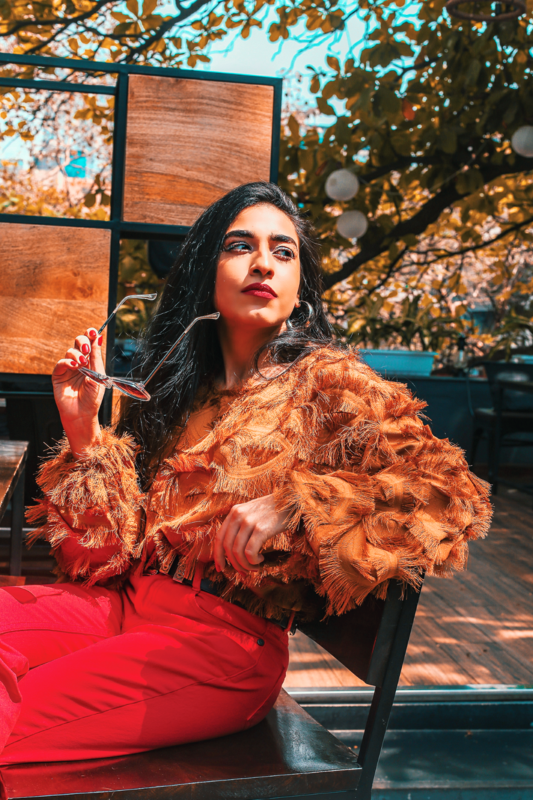 Now comes the part where I repeat this cliched, overused but extremely accurate line -“Accessories complete the look” I got these beautiful and really high on style accessories from Romwe. The best part about them is that I didn’t have black accessories with silver hardware, so this was definitely a plus for me. I got the bag for under 1k as well from here and I can see it becoming my go to bag for sure . These boots came for only 2k and they offer so much height and are super comfortable at the same time. This belt was for around 400 bucks! That’s cheaper than buying it from local shops in India! These have become my everyday accessories not only because they are good, but also because they go with EVERYTHING! 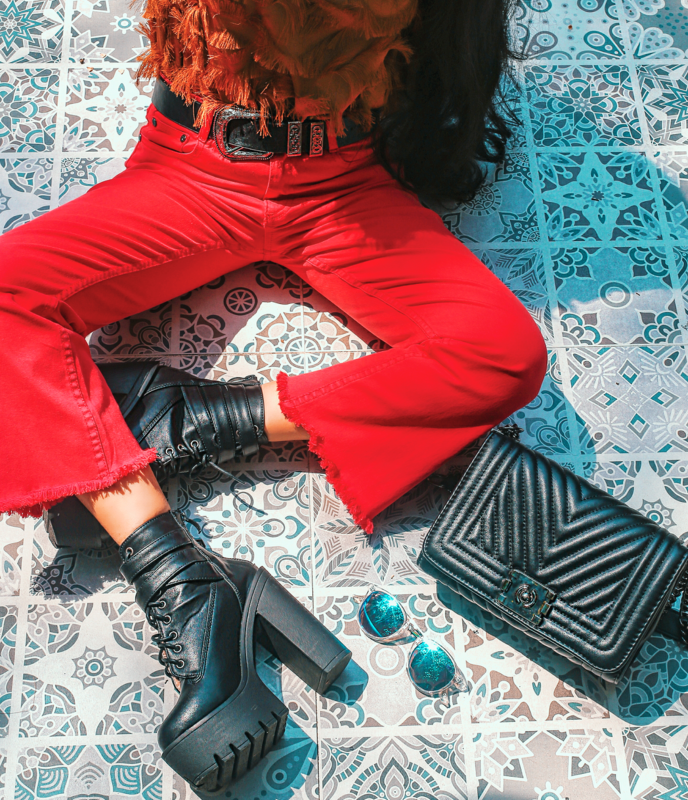 It’s never too late to invest in good accessories, especially is the investment is so low! Am I right? Lol, I’m all for a sale. I added blue shades just to balance out the warm colours with a cool tone. 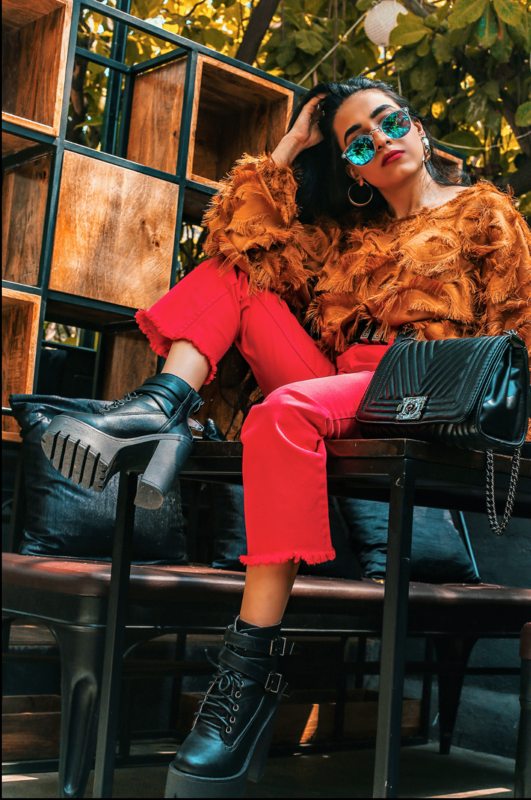 This look turned heads, mainly for the top, it’s so extra after all…and then also for the colour combination, and lastly for the immaculately paired and well rounded accessories. Do you like this look or do you really like it? Coz we are being extra, you know? Haha! And if you scroll till the very bottom, there is a bonus picture of another top I bought during the sale which I added here because it is a haul after all! BONUS LOOK – I got this colour block striped tee as well which I love!